Today my guest is Marshall Schott from Brulosophy.com. Marshall operates the Brulosophy web site which features 160 small experiments in brewing techniques and ingredients. 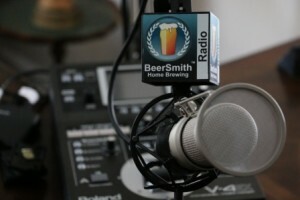 He also joins me to talk about his new podcast, as well as new projects in “The Hop Chronicles” and “Short and Shoddy”. We start with a discussion of some of his recent “exbeeriments” in brewing – beginning with using a starter versus underpitching his yeast. Next we move on to “squeezing the bag” for brew-in-a-bag. We also discuss his new podcast called the “Brulosophy podcast” available on his web site. Thanks to Marshall Schott for appearing on the show and also to you for listening!